This is a perfect celebration banner for a 70th birthday party. This item can be handcrafted for you in your color theme and paired up with fun matching ribbons. Our banners are handcrafted with premium card stocks. . 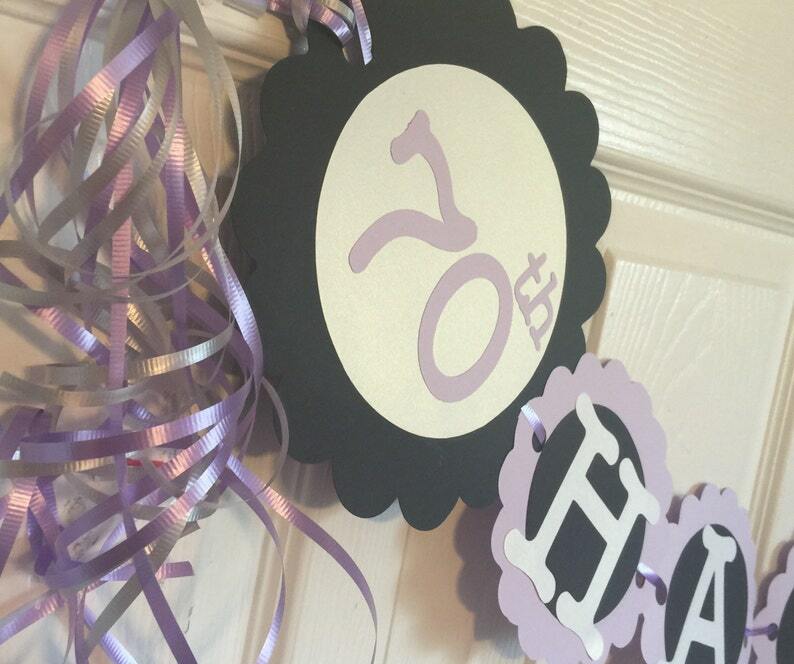 The 70th theme can be carried throughout your party scene as Light Danglers, Centerpieces and more!